Everton, IN on west side of IN Route 1 in the firehouse at the yellow flashing light. 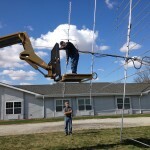 Bicentennial Indiana QSO Party is Saturday, May 7th, 11AM to 11PM EDT. This is a 12 hour operating event with the objective of activating all 92 Indiana counties and getting as many Indiana hams on the air as possible during the QSO Party on the 160, 80, 40, 20, 15, and 10 meter amateur bands. The goal for hams operating from Indiana is to work all 92 counties and as many hams in Indiana and worldwide as possible. As part of the Indiana Bicentennial Celebration the HDXCC will offer a special certificate for working the following 15 counties: Clark, Dearborn, Franklin, Gibson, Harrison, Jackson, Knox, Orange, Perry, Posey, Switzerland, Warrick, Washington and Wayne, representing the 15 counties that made up Indiana on December 11, 1816 when Indiana was admitted to the union. See rules for detail on receiving the certificate. A certificate will be awarded for any station activating one or more of the 15 Bicentennial Counties and submitting an entry. This applies to fixed, portable, rover and mobile stations making 25 QSO minimum is an aggregate from one or more of the 15 qualifying counties. INQP allows a number of operating categories including: QRP, low and high power single operator, all-out club efforts, multi-operator high power and multi-multi (multi operator and multi transmitters) operation. Also included are mobile units and rovers moving from county to county and portable setups similar to Field Day. Plaques are awarded for best in Indiana, out of state efforts, and best individual county efforts! The Indiana exchange is RS(T) plus the county, for all others States it is RS(T) plus state, for Canada RS(T) plus province or territory and all others it is RS(T) plus DX. 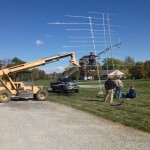 The INQP Club Competition offers Indiana Amateur Radio Clubs a great opportunity as a club operating event. This could be a membership operating activity, a club multi-operation or a portable operation from a rare county or straddling a county line. The club’s aggregate score is the total score of the club members submitting contact-logs. At the end of the QSO party club members will submit their contact-logs electronically listing their club affiliation. The club must be a legitimate Indiana Club. At least three members must participate, either as three individual single operator entries or a multi-operation entry listing three members or a combination of these entries. All contacts made by club members submitting logs, must be made from a station located in Indiana during the INQP. Digital logs are preferred for INQP entry submissions. Handwritten logs are accepted, but they have to be manually entered, so please use logging software if at all possible. The Cabrillo log format is preferred for log submission. Top Club Competition Plaque will be awarded to the club with highest aggregate score and awards certificates for second and third place. We would like to encourage all Indiana clubs to consider putting together a club effort and get their members on the air for the INQP. The INQP overlaps with a few other QSO parties and contests: the 7QP, NEQP, and the Italian ARI Contest. So, during the INQP many other stations seek contacts from Indiana to fill their logs. The more Indiana stations on the air that day, the more action for everyone! Typically 80, 40 and 20 meters are the most common bands used during the INQP, with 40 meters being the best band to work Indiana stations. Check 80/75 meters after dark for activity. This entry was posted in Uncategorized on February 22, 2016 by K9SVL. The annual members meeting was held on Saturday, January 16th, at the Grover Museum in Shelbyville. The dinner was well attended with members, wives and friends present. The meal was prepared and served by members of Lewis Creek Baptist Church. It was a great meal topped off by a selection of tasty desserts. Larry Hill, President, and John Walker, Secretary, both spoke after the meal and gave a review of the Society’s activities during 2015. The President then presented the Carl and Bev Mohr Amateur of the Year award to John Walker for his efforts towards promoting the Society and its activities during the past year. This entry was posted in Uncategorized on January 25, 2016 by K9SVL. 220 and 440 MHz Repeater Project Is Now Completed. The 224.440 MHz and 444.975 MHz repeaters are now back on the air. 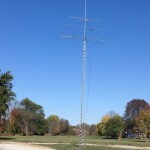 The 224.44 MHz repeater is part of the Central Indiana 220 repeater network. There is a net held on the network every Thursday evening at 8:00PM. The 444.975 MHz repeater is a new Yaesu Fusion analog/digital repeater. If you have a Yaesu Fusion radio you can use the repeater in digital mode. Otherwise, the repeater will work with analog FM as well. Click on this link for updates on this project. This entry was posted in Uncategorized on January 9, 2016 by K9SVL. DMR Repeater Is Now On The Air! The new DMR digital, UHF repeater is now on the air. The repeater operates on 441.4875 MHz in digital mode only. This repeater is networked into the HoosierDMR.net repeater network which provides linkage to all of the DMR repeaters worldwide. You can find out about DMR at HoosierDMR.net or by Googling “DMR.” More information on DMR will be posted on this website in the next few days. In the meantime, if you already have some DMR radio equipment and want to get it programmed with the current software “plug”, please get in contact with either Ron Bush, KC9RMV or John Walker, K9SVL. 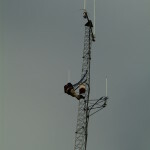 While we had the tower climber in the air we checked out both runs of available hardline that were not being used. Both runs checked out just fine. 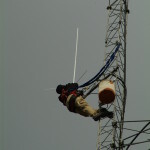 The decision was then made to install not only the UHF repeater antenna for the DMR system, we also installed a VHF/UHF antenna utilizing the other run of hardline. We now have a spare antenna system at 140′ that can be utilized as a backup repeater antenna or used for some purpose such as an APRS digipeater/igate system. This additional antenna system only enhances our resource position for future expansion. This entry was posted in Uncategorized on December 23, 2015 by K9SVL. The annual Members Dinner Meeting will be held on Saturday, January 16th, 2016 starting at 5:00PM. The Dinner Meeting will be held in the lower level meeting room at the Grover Museum. The cost per person for the meal is $13. You may call Brian Evers at 317-835-7301 to make reservations. You may pay in advance or at the door. This entry was posted in Uncategorized on December 14, 2015 by K9SVL. Society Secretary and Repeater Trustee, John Walker, proposed to the membership at the November 16 member’s meeting to purchase and install a DMR repeater in the Shelbyville area. After a presentation by representatives from the Hoosier DMR Net at the September members meeting about the DMR repeater system in Indiana, several local members purchased some DMR radios and began exploring the world of DMR digital radio. 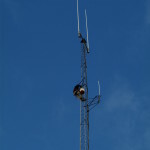 It soon became evident that it would be necessary to have a repeater here in Shelbyville in order to take full advantage of the DMR repeater network. 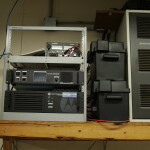 The Society will be purchasing a top grade Motorola DMR repeater that will work in the UHF band. Almost all DMR repeaters for amateur radio use function in the UHF band. 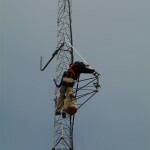 Once all of the repeater equipment is procured, the repeater system will be located at Drake Electric with the antenna mounted on their tower. This is the location for the Society’s 2 meter Yaesu Fusion repeater. 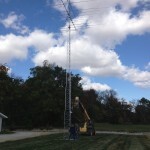 Weather permitting, we are hoping to have this new repeater up and running before year’s end. This entry was posted in Uncategorized on November 16, 2015 by K9SVL. Jim Rinehart, K9RU, IRCC Chairman, Larry Hill N9TVH, BRVARS President and John Walker, K9SVL, BRVARS Secretary during the Award presentation at the November 16 Society members meeting. I received the following email last evening from Jim Rinehart, K9RU, Chairman – IRCC Activities and Awards Committee of the Indiana Radio Club Council informing me that the BRVARS is the recipient of their “Outstanding Club Award.” You can read the content of Jim’s email below. This is a very prestigious award for our Society. 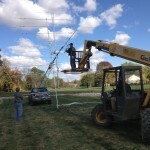 It is only awarded to Clubs that have gone above and beyond for Amateur Radio and is only awarded when a Club meets those standards of excellence set by the Indiana Radio Club Council. 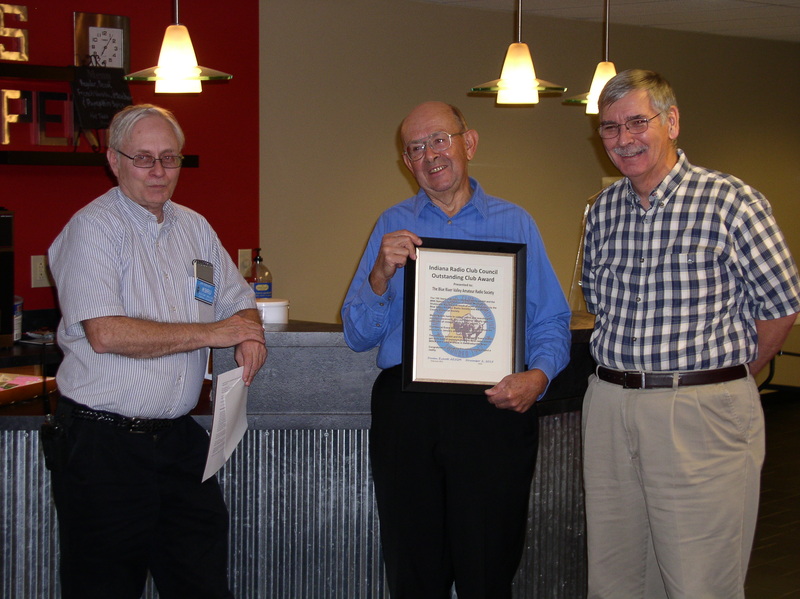 Jim will be attending our November 16th regular club meeting in order to make the award presentation to the Society. Hope everyone will be able to attend the event. The Indiana Radio Club Council has an Outstanding Club Award we give to club that go beyond what we normally find clubs doing. They refer to it as over the top these days. A little history of the award, the IRCC found when going over the Amateur of the Year nominations that the clubs they were involved with were doing some really innovated stuff and we wanted to recognize the clubs and also share what they were doing with other clubs. The IRCC seeks out these clubs by reading club newsletters and by peer nomination. The BRVARS working with the Shelby County Historical Society to put together The 100 Years of Radio exhibit at the Grover Museum in Shelbyville and the W9S special event station operation certainly was a great accomplishment. I first heard about it from Bob, W9KVK who had a chance to visit it. Later I read about in the ARRL Indiana Section Newsletter. I saw Mike Jones, K9MJ at the Indianapolis Hamfest and he sent me more details about the event and pictures. Doreen Everett AE5QM, Chairman of the IRCC and Lou Everett, WA5LOU wanted to make the presentations since they worked with the BRVARS on the event, but Doreen … ask if I arrange to make the presentation. BTW: The Indianapolis Radio Club has been talking about doing a similar display with the Indiana Historical Society, but only on the history of Amateur Radio in Indiana. We put together a lot of stuff during the 100th anniversary of the Indianapolis Radio Club. CU at the BRVARS meeting, Monday, November 16th. This entry was posted in Uncategorized on October 28, 2015 by K9SVL. Over the past few weekends, Society members assembled antennas and raised a 50 foot tower for fellow Society member Guy Sever, K9ZB. Society members Bob Westwater, N9BK; Brian Evers, KC9UGG; Ron Bush, KC9RMV; Bill Price KC9ZMT; Pat Wagner, WA9AAV; Gregg Steele, K9CDB and John Walker, K9SVL all pitched in at various times and got the project completed. As you can see in the pictures below, the variety of antennas pretty much covers the entire number of frequency bands available to amateur radio operators. This was what you would call a very heavy lifting project, there was no walking-up this structure. You can also see that we made very good use of Bob Westwater’s pickup truck. This certainly turned out to be a team project and some very good ideas and suggestions along the way from those working on the project got this mission accomplished. This was a very good exercise in teamwork for sure. Click on this link to see video of tower raising. Link takes you to N9BK’s, Bob Westwater, website where the video resides. This entry was posted in Uncategorized on October 18, 2015 by K9SVL.